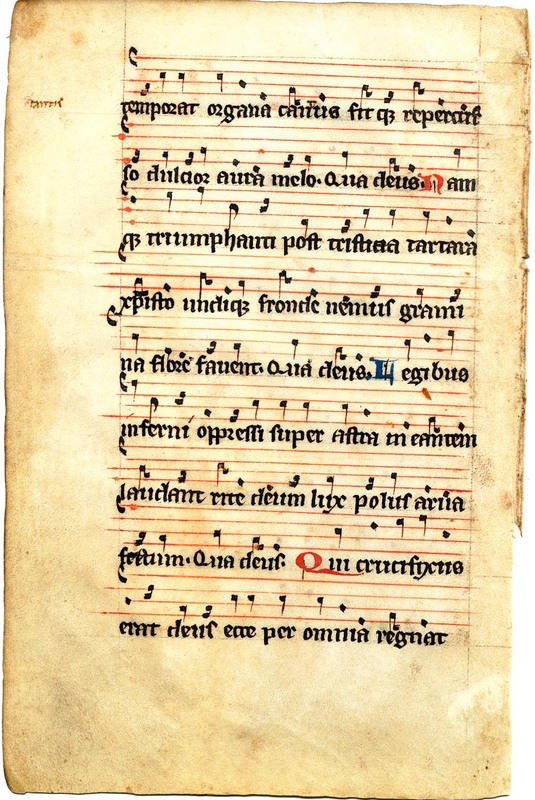 This leaf is from a 13th century English gradual, and measures 18 x 12cm. 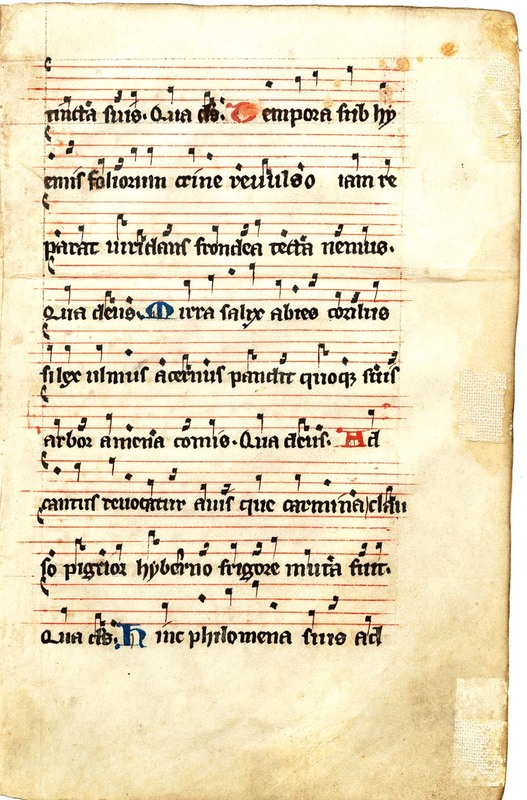 It contains text and music for the celebration of the post-Easter season. See Denison University Leaf 08 for more information about this manuscript. Text: Lines taken from "Ad felicem episcopum de pascha," a poem/song probably written by Venantius Fortunatus (c.530-600). This leaf may therefore have been near Leaf 08 from the University of South Carolina portfolio in Ege's original manuscript. iam reparat viridans frondea tecta nemus. Myrta salix abies corylus siler ulmus acernus. plaudit quaeque suis arbor amoena comis. pigrior hiberno frigore muta fuit. fitque repercusso dulcior aura melo. undique fronde nemus, gramina flore favent. laudant rite deum lux polus arva fretum.